This week the Doristas were assigned to cook Boeuf a la Ficelle or Beef on a string. We do not eat beef so initially I had decided to adapt the recipe to make Poulet a la Ficelle. In the past I have adapted beef recipes from the book to cook chicken, but this one was different. Other than beef, this dish required veal and oxtail. Now how was I suppose to substitute those. Add more chicken ? No. That did not feel quite right. 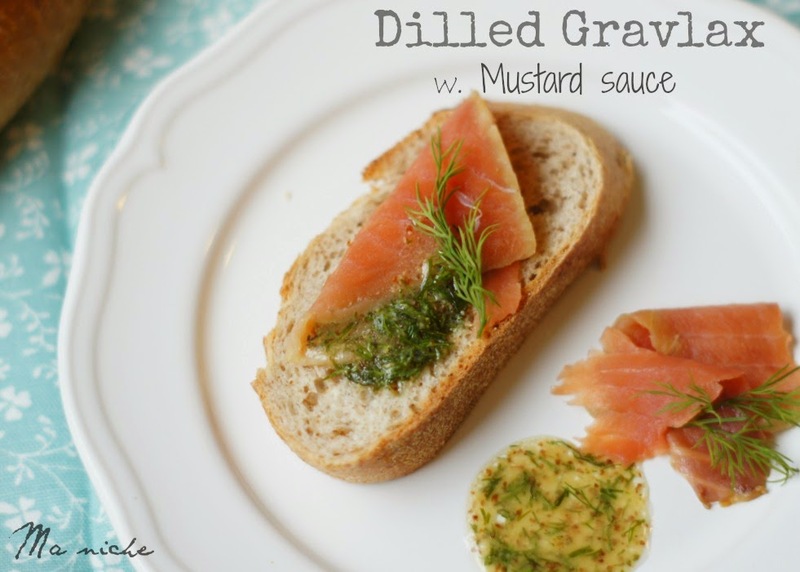 So I decided to skip the assigned recipe altogether and review one which the Doristas have already tried.....namely Dilled Gravlax with Mustard Sauce. Most Doristas prepared Dilled Garvlax in the last week of December and I in the subsequent week. The recipe was fairly easy but required time. I hadn't read the instructions until Thursday and did not have enough time to prepare it by the next day. I am however glad that I tried it for it was delicious ! 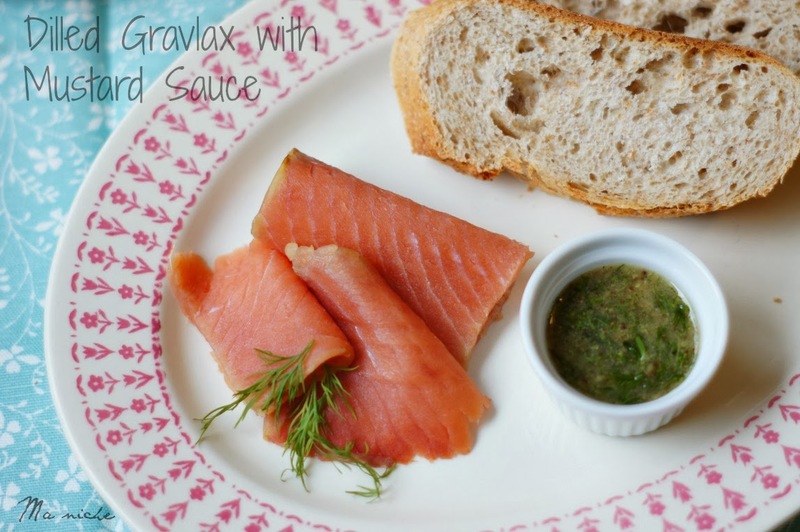 For those who haven't heard of it before, gravlax is nothing but cured salmon. To prepare it one simply has to make the curing mixture, coat a slice of salmon with it, wrap the fish in a plastic wrap, weight it evenly with something heavy and refrigerate for 48-72 hours. Once cured, the fish needs to be rinsed off the curing mixture, patted dry and thinly sliced. The slices are then served with mustard sauce and bread or toasts with a garnish of dill. 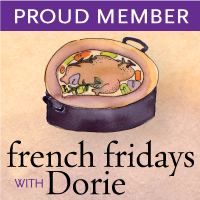 Visit French Fridays with Dorie to know what the other members thought about the gravlax and this week's assigned recipe Boeuf a la Ficelle. You can find the recipe of here . For Dorie's original recipe and more purchase your copy of Around My French Table and join the Doristas in their venture. I wish I could enjoy it with you :) Thanks so much for linking up to the Friday Frenzy - hope to see you again on Friday!